Hello, Welcome to another BoW with us. Hope you all are having wonderful holidays. Let's join hands and dance for some time. It's a good time to have fun right? That's why we chose Dance with Me by Charles R Smith and Noah N Jones, for this week. Wiggle, move and bounce with me! Move your body to the beat..."
It's Liya here. I am here to give you some updates from my daycare. Well, as you know, I love being there. I have so many friends over there. Sebastian is my naughty friend, I keep using his name very often, especially when I play with my dolls. During our vacation in India, everyone used to tease me calling 'Sebastian'...lolz! Welcome to another 'Book of the Week'. Once again Liya and myself wholeheartedly apologize for not sharing 'story time' with you, for a few weeks. Our theme for the week is SNOW. Well, snow seems to be fairly late to hit Buffalo this year, we hardly saw one or two of them. Just a plain winter compared to last year. But yes, we are loving it. Things Liya loved in India : People! Days in India were fabulous days of Liya's life. There are quite a lot of things she loved there and a few things she hated, as well. We 'll tell you one by one. The Making of an Art! Being a WAH mom, at times 'professional life' turns out to be extremely challenging compared to Working from Office. There may arise moments, dragging you all puzzled and may even push you for a second thought- should I quit? Well, people keep wondering what Liya would be doing while I peep into my lappy screen! I dedicate this video to all, who just wonder what crap she would be doing alone. Just, yes just 6 minutes from a day. 26 months- what's she upto? 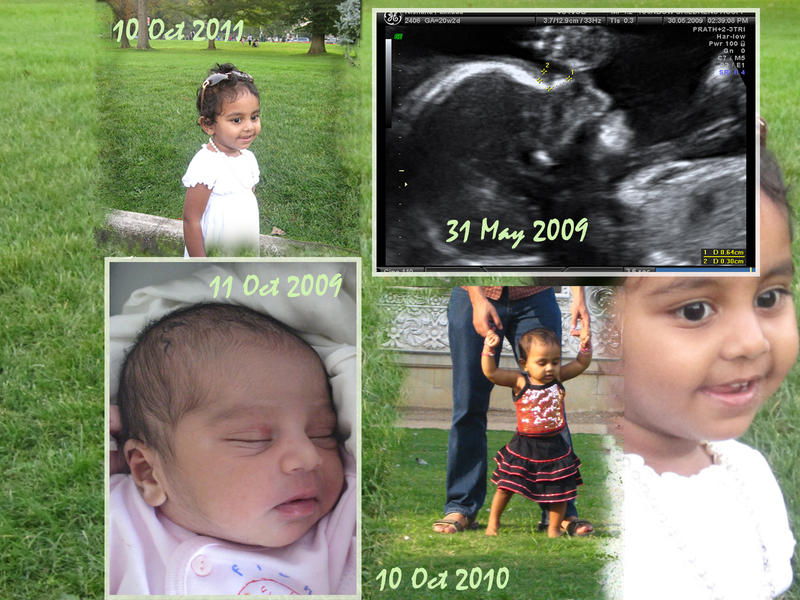 It's been a while since I shared 'Liya updates'. Though, this blog is 'everything' Liya and an 'e' walk through her life, somehow I seem to be pushing things and later missing my schedules. I have been having a tougher time and heap of 'to do' things at home and work, as well. Or sometimes I feel extremely lazy....(ohh..Liya, I didn't say that)!! Anyways, as you know, little Liya is a full-time mischievous, active, happy-to-go, little bundle. Wordless Wednesday :: The big sis! The caring and responsible little 'BIG' sister loved to cuddle her little cousine (my nephew) to sleep. Take a look the priceless moments from our vacation in India. Luckily, we reached DC on time, no delay and hence we had ample time to get our boarding pass till Calicut. We were traveling via Qatar airways. I like traveling in Qatar airways because of many reasons. 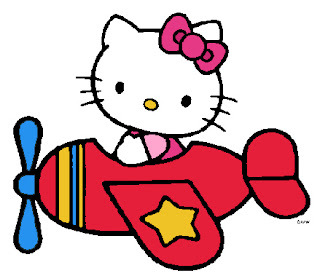 Like I mentioned before, this 'travel' was my nightmare for many days before the trip. 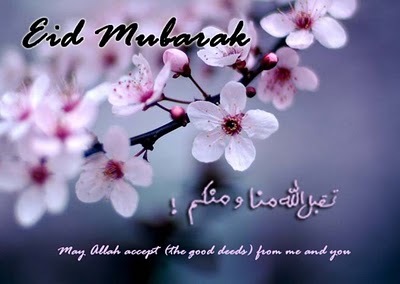 But Alhamdulillah *Thank God* things turned out to be wonderful and memorable. ...from our 3 weeks long absolutely fantastic vacation, back in Kerala. We sincerely apologize for not keeping you updated about our trip. We were surrounded by a lot of things over there and it was quite difficult to find time to 'actually' sit and blog, though I was having internet access. The entire trip was great, though the journey back and forth were quite tiring. Liya has come back as a new person- all pampered and naughtier than ever. We are fighting with jetlag and life is not yet back in track. I 'll be writing about our holidays shortly- a lot to say. Stay tuned! Also, I need to get in touch with my online buddies and get those relationships back to older. 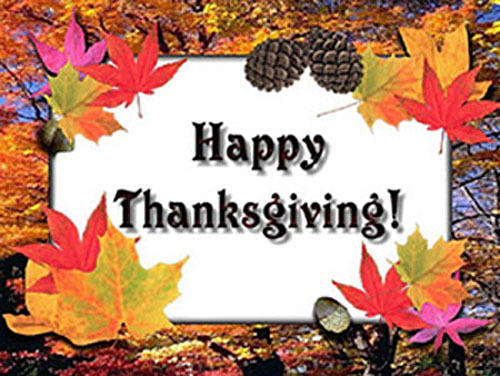 To my all buddies, who celebrate Thanksgiving today- Liya and I wish HAPPY THANKSGIVING - have fun time with your family. Finally, the much awaited vacation is at our doorsteps. Less than 24 hours to go. I have been busy planning our trip, cleaning the house, shopping and more importantly packing the stuffs for a long trip. ...yes, a lot of things are happening in life. Like Liya mentioned in her previous post, I SUCCESSFULLY stopped breastfeeding her. It wasn't as tougher as I anticipated, though a few new things have popped up as a consequence. [Toddler Talk] That's a Monkey! It happened a few months ago. J and Liya were in the park for their evening playtime. 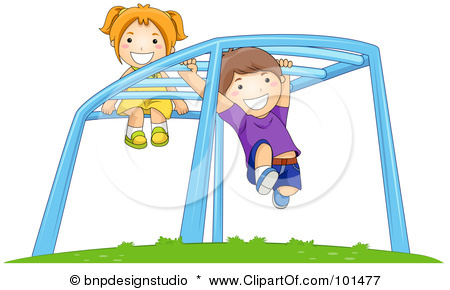 There was a boy playing on the monkey bars. He was abruptly moving across the bars and he did somersaults and some naughty moves, as well. Little Liya was watching him very closely. Read older parts of the series here. 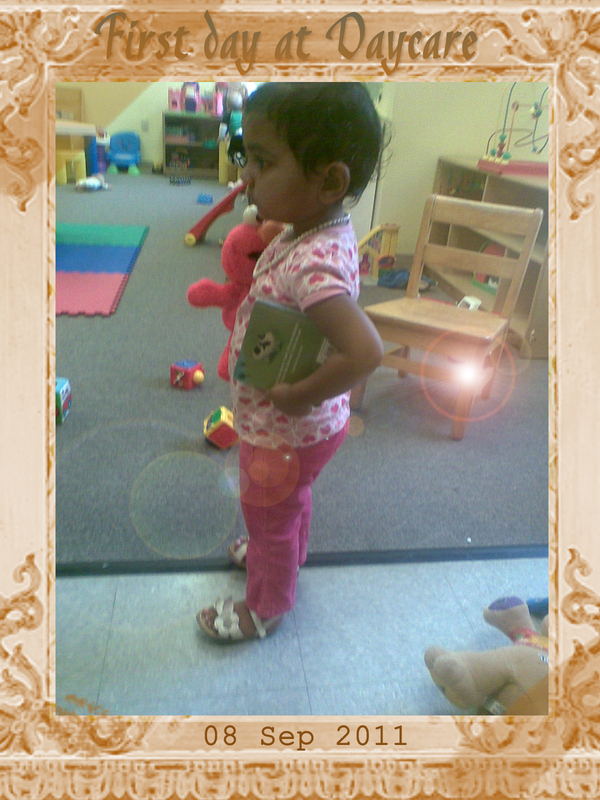 Welcome to another story time with little Liya. 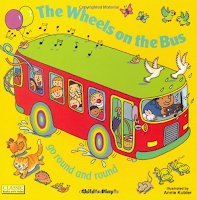 Today, we are sharing with you the ever green classic The Wheels on the Bus: Go Round and Round (Classic Books With Holes) by Annie Kubler. 2 year- What am I upto? As you already know, I am a big girl- 2 years old. So, what am I up to these days? Schooling- I enjoy my school time. I love going there. My momma found out the secret behind my (pseudo) whining. She found that only if pappa drops me at school I behave weird, but if she drops me, I stay all calm and cool. I even give her bye bye, kiss and walk into the class room. So these days, mamma drops me to school and things are going well. Mommas find out every bit of our tricks... huh? Book of the Week :: What's the Matter Bunny Blue? Our apologies for not sharing a story last week. 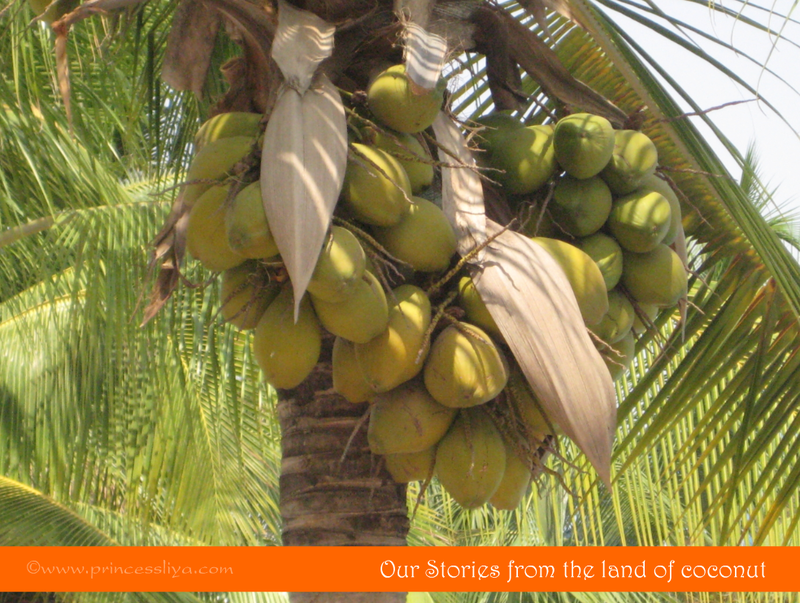 This week we are going to share with you another wonderful story- What's the Matter, Bunny Blue? by Nicola Smee. What's the matter Bunny Blue....? "I've lost my Granny! BOO HOO HOO!" Can't you hear the footsteps of snowy days...? Have a look at our day at Toronto Island Beach! Sounds like it was just yesterday I went for my first ultrasound scan and curiously looked at the screen as doctor showed me the budding organs of a flesh piece growing inside me. I innocently gazed at the continuous movements happening inside and it was such an unforgettable day for me. Wordless Wednesday ~ Scribbles on the wall! Finally, that too happened. Liya has officially inaugurated her scribbling exhibition on the 'wall'. We live in a rented house, as we are here on a temporary visit. When we vacate the house, it must be closer to how we were given. But now I see the chances of getting a huge penalty with all messed up flooring carpet and a decorated wall. Thank You Karima for sending me your love as Extreme Muslima award. 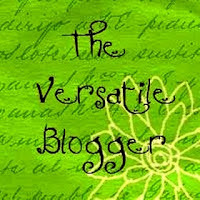 I am a regular reader of Karima's craft blog and I love it - very informative and 'crafty' too. As far as I understand this award doesn't come with a huge list of rules..*sigh*.. Well, an award need not be attached to rules always, it is just a way to show your love to a fellow blogger, isn't it? This award encourages to pass onto few amazing Muslima bloggers and I take this opportunity to introduce few of them, to you (in no specific order). I am sure this book doesn't need any introduction- it is one of those classics which kids of all age immediately fall in love with. Liya loves listening to animals sounds, she imitates many of them too. 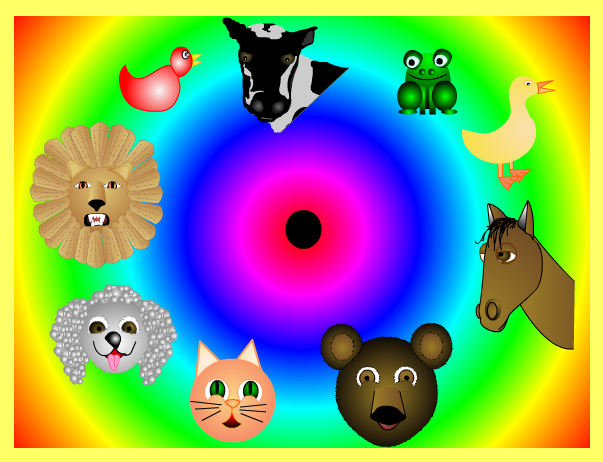 We had so much of fun playing the simple game 'Animal Sounds'. Yes, just a month away from 2 years of parenting and below are her latest antics and achievements. 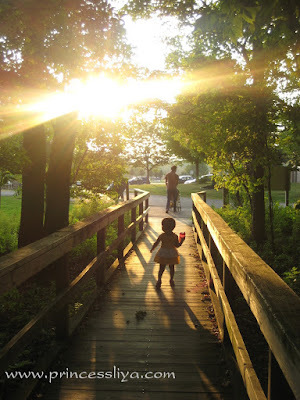 Toddler Talk :: How to frighten? It is a fact that we must not frighten kids. But, I am sure there will be some instances were we badly wish if our kid is 'afraid of' something or other in this world, right? Next day morning, first thing in our list was a cruise through New York harbor. A river cruise is always a perfect combo of any hectic trip. That can give you enough time to sit on a deck, relax and enjoy the beauty of the serene landscapes or fairytale castles or glittering skyline while the tickling of cold breeze blows across your face! We opted for 2 hours trip.That was definitely the most tranquil part of the our tour. Book of the Week :: Guess how much I love you! "Guess how much I love you," says Little Nutbrown Hare. Little Nutbrown Hare shows his daddy how much he loves him: as wide as he can reach and as far as he can hop. But Big Nutbrown Hare, who can reach farther and hop higher, loves him back just as much. Well then lil Nutbrown Hare loves him right up to the moon, but that's just halfway to Big Nutbrown Hare's love for him. 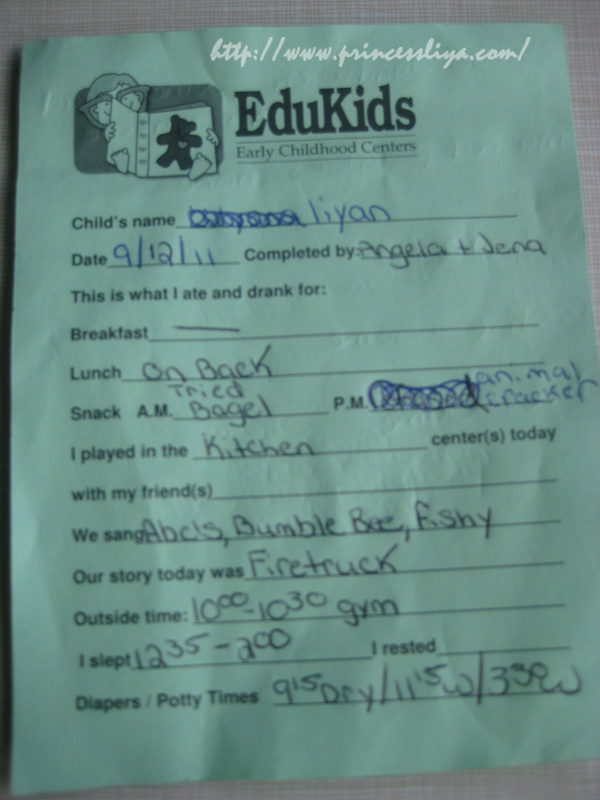 A sneak peak at Liya's day with the book. At times, it demands more chaos too...! She was all thrilled to head to school. She had a nice bath, yummy break fast and dressed up really quick. *Kids are well disciplined and obedient if they smell the delight of going out. * As we stepped into the school, her eyes were sparkling with inquisitiveness. I took her around the room, she was ecstatic to see a lot of toys and bunches of friends. But she got a whiff of eccentric happenings around her and wanted to snuggle into my arms. Her little hands slowly clung to my thighs and did not let me move. Does your child enjoy coloring with crayons? Liya loves it. She doesn't 'color' but scribble everywhere. That's fine, she is too small to 'color' a pic. We often color some interactive coloring pages, as well. 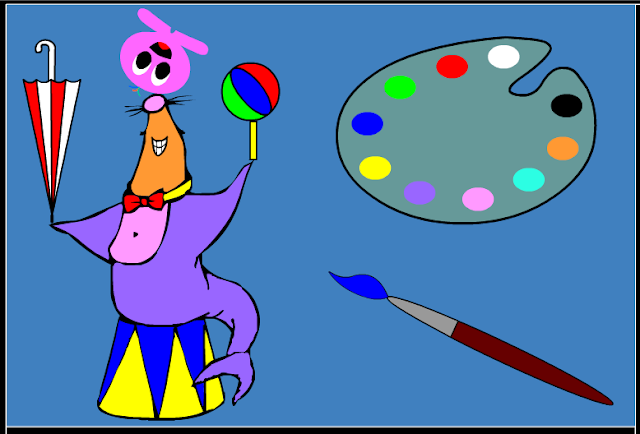 We had a wonderful time coloring Oochy with touch-pad and mouse, as was he was having fun at circus. Have a look at the pic below and enjoy how we colored Oochy- the seal. 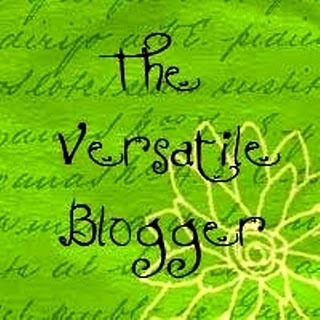 I'm super thrilled to be spotlighted over at About a Mom. Thank You so much Angela, for choosing us. We are touched and honored by your love. Hop over to About A Mom and join the fun. The big day for little girl! Did I share with you the big news? Yesterday was little Liya's first ever day at school. 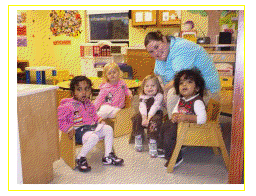 Yes, she is too small for schooling hence I enrolled her in a daycare. So, two days in a week are gonna be much different than usual for both mom and girl. All set for a first day! I have been dying to share some mommy-girl moments with you. Time wasn't permitting me. Better late than never, so here you go! I share a lot of stories with Liya, (as you know- many of them we read through books) OR some I build up myself to 'fit' in the context and distract her from usual temper tantrums, whining or clinginess. If she behaves fussy during her mealtime or if she doesn't show any sign of sleep but play with her toys, late in the night, I weave stories and share with her. Mr. Horse is very generous and blows a question 'Who wants a ride'? The barnyard friends- a cat, a dog, a pig and a duck, were exhilarated by the stunning offer- and climbing aboard, one after another for a cruise ride on horse. Every one enjoys the feeling of getting twirled of tossed...Don't you? The naughty friends feel that Mr.horse is not running really fast and they request to go a little faster! Wordless Wednesday ~ Mix, match and exchange! I rather learn from each of those! As a proud mommy blogger, I am glad that Princess Liya was awarded with Versatile Blogger Award. I accept it humbly and many thanks for passing it onto me- Sarah and Stephanie - I owe you ladies for such an awesome surprise. 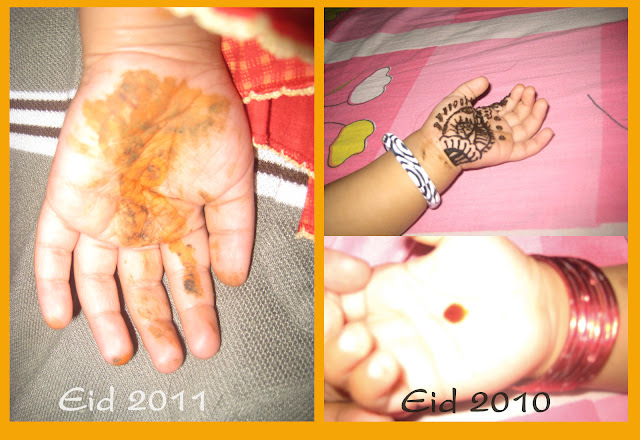 Little Liya wishes, you all a wonderful and blessed Eid! How about that idea? A city tour under moonlight- that was included in our sightseeing package. Yes, 6.30 pm is not 'night' in New York, especially in June when sun sets by 9.30. It was an awesome trip, the sun was setting down in the horizon as we were crossing Hudson river. NYC sky in the twilight is truly mind-blowing. Sitting in an open bus under twilight, watching the sun slipping through the horizon is surreal. Everyone was busy capturing the red horizon over Hudson river, with Brooklyn bridge in the background, the camera flashes did distract the beauty. There was a big CROWD at Times Square. 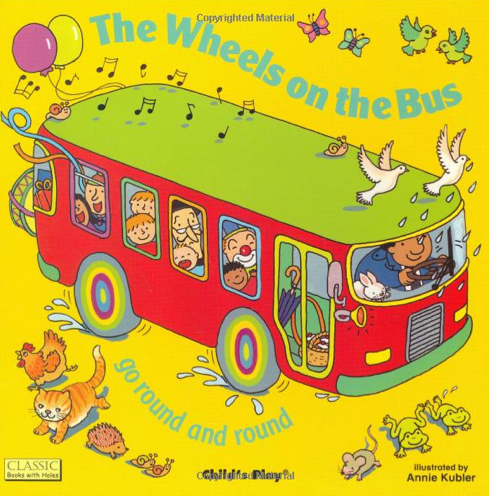 As I told earlier, we are sticking to a THEME and reading along with Rainbow. The theme for the week is FRIENDS, hence we chose Dimity Duck by Jane Yolen.